Dominique Monaghan just wanted to get even with her two-timing, married boyfriend, a washed-up boxer stuck in a toxic marriage to a dangerously spoiled socialite. But an elaborate blackmail scheme soon lands her in the middle of an unexpected kidnapping . . . and attempted murder. But who is actually out to kill whom? Desmond Edgars, Dominique’s big brother, has looked out for his wayward sister ever since their mother was convicted of murdering Dominique’s father many years ago, so when he receives a frantic phone call from Dominique in the middle of the night, he drops everything to rush to the rescue. But to find out what has really happened to his sister, the stoic ex-military man must navigate a tangled web of murder and deception, involving a family fortune, a couple of shifty lawyers, and a missing child, while wrestling with his own bloody secrets . . . . 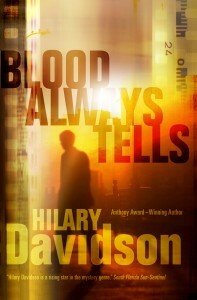 Blood Always Tells is a twisted tale of love, crime, and family gone wrong, by the multiple award-winning author of The Damage Done and Evil in All Its Disguises. 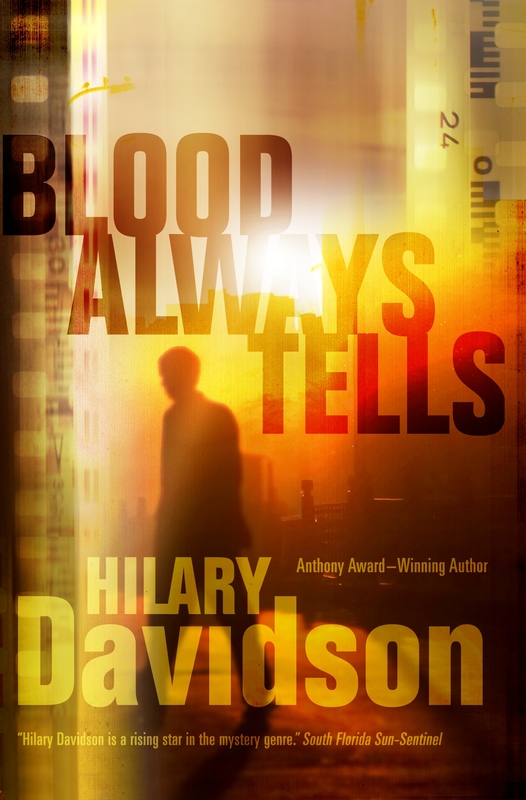 BLOOD ALWAYS TELLS (ISBN 978-0765333544) will be released in the US and Canada on April 15, 2014. It is available for pre-order from independent mystery booksellers across North America, as well as from Amazon, Barnes & Noble, Books-a-Million, IndieBound, Powell’s, and — in Canada — Indigo/Chapters.